As you might have read already I had tons of fun making this Vintage Flower Blanket. I thought some of you would like to have a tutorial. Her it goes. 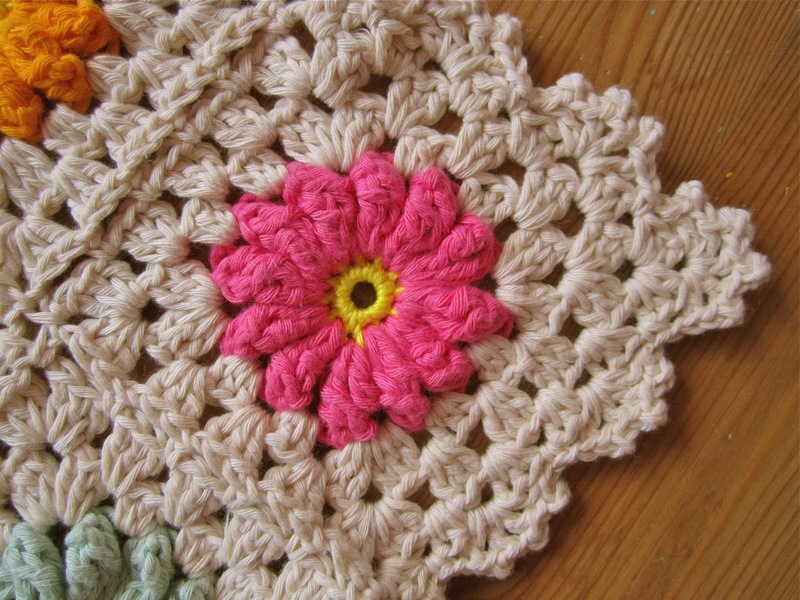 For starters make a magic circle (or chain 5) and in that circle 12 single crochets. Round 2: Change color, put hook in one of the spaces between 2 petals. 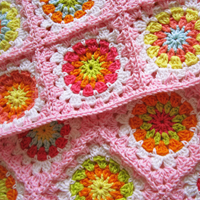 Ch 2, 2 half double crochets into the same space, *3 double crochets in the next space, ch 2, 3 dc in same space. 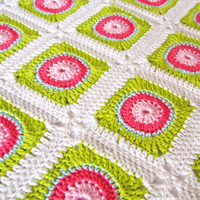 3 hdc into next 2 spaces, repeat from * until your square is finished. Join with ss. Then ss into the next stitch, ss into the next space (see Pictures beneath), ch 2, 2 dc into the same space. 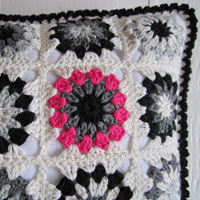 Now finish your granny square int the usual way. Well, that's it for now. I hope it's clear. For questions just email me or leave a comment below. You can find the tutorial for the edge here. 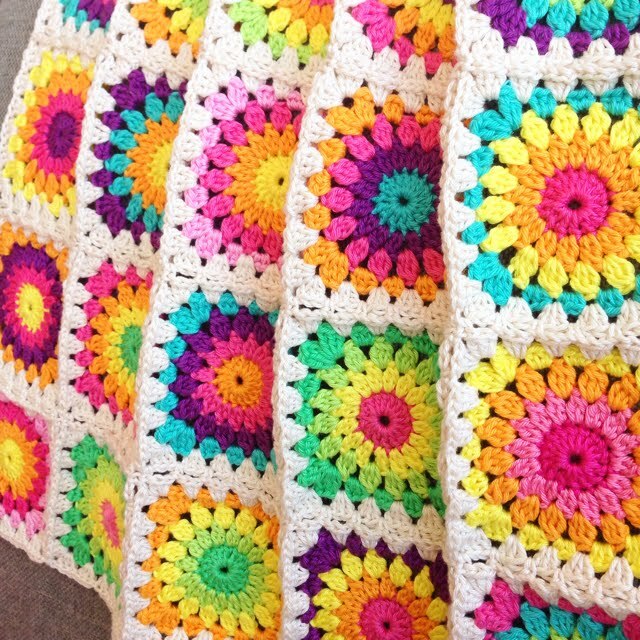 The most wonderful flower blanket I've ever seen. Such a big compliment! Thank you!! This is a great pattern! 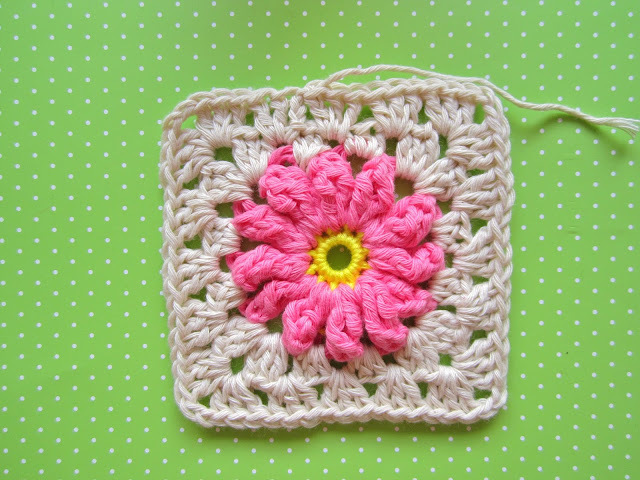 I already know how to do the flower bit but I have never thought of putting a square around it. And your colour choice is lovely!! 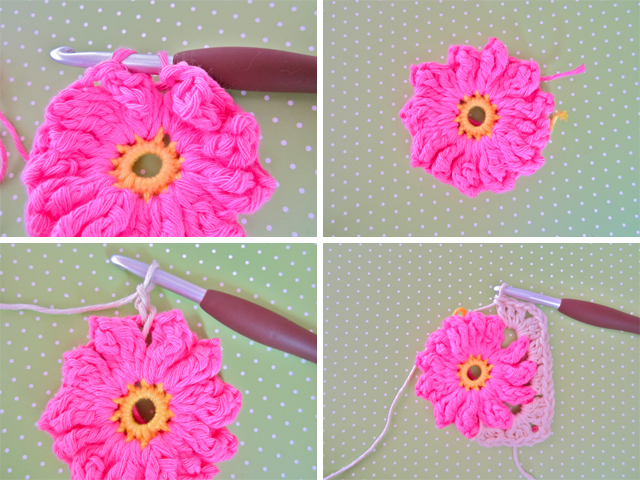 This is a lovely flower pattern, thanks for the tutorial and pattern. This is a wonderful pattern, and very well written. 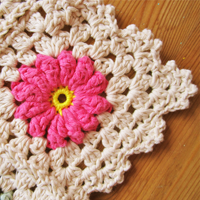 I've only been crocheting for a few weeks and I was able to follow it no problem. I'm sorry, I don't know what you mean by that. I used Drops Paris and Creative Cotton. It's a cotton yarn where you use a size 6 hook. I love those yarns, both are aran weight yarn for the person who asked. When you said size 6 hook did you mean a 6mm hook? Thank you :). Sorry, yes 6 mm! HAve fun! Thanx everybody for the compliments! I'm glad you're happy with it! so pretty! thanks for the pattern! So pretty! 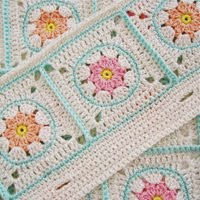 The main color in the squares, and that gorgeous edging give this a lovely vintage feel! 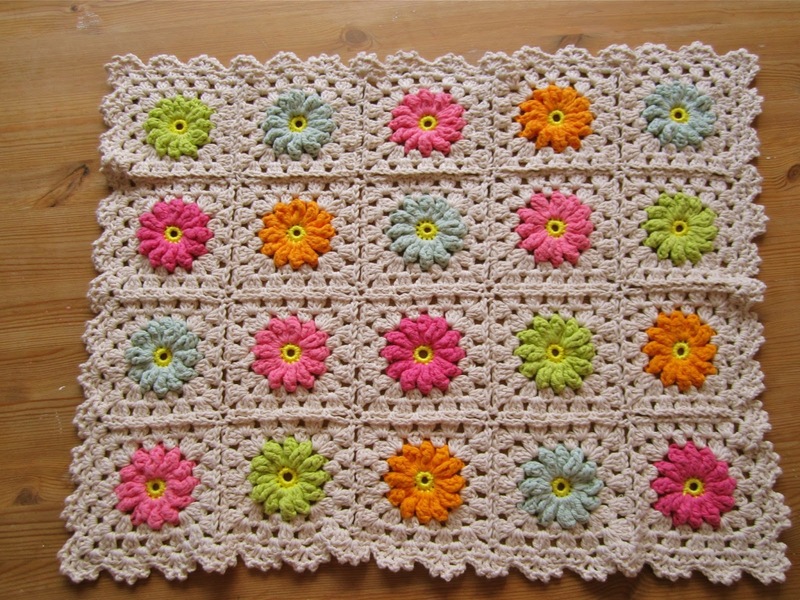 Is there a pattern for your border? I love it! 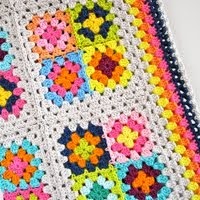 I absolutely love this blanket!!! 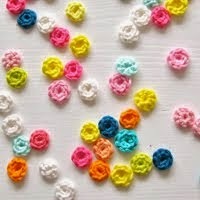 I was wondering if you could post the colors your used for the flowers? Thank you! Also How much yarn did it take you to make this blanket? 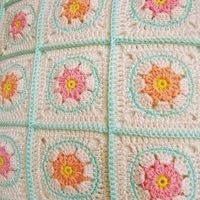 I am wanting to make one for my cousins baby and have to order the yarn online. OOhh, that's going to be difficult. I never write down the colors I use. I used 3 different brands; Catania Grand (yellow for the centre), Drops Paris and Creative Cotton. 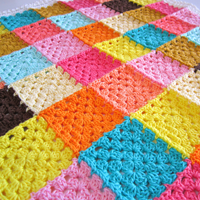 This is a small blanket and I used a boll each of the colors, and probably about 3 of the off-white. But remember that this is only a stroller blanket. 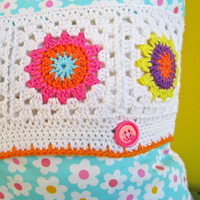 There's also a tutorial on the edging on the sidebar of my blog. Really beautiful! Thanks for the tutorial with pictures, that makes it so much easy for me. I love your blankets!!! I am trying to tell what type of yarn you used. Is it cotton? What brand? 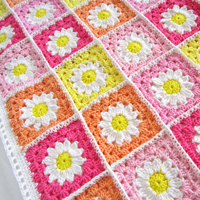 I would love to make one for my little granddaughter's second birthday in April. These look a little prissy like her! Thanks for the tutorial? Hi Sabrina. I always tend to use 100 % cotton. For this particular blanket I used Creative Cotton and Drops Paris (and Catania Grande for the yellow center, but that is mercerized). I love these yarns for their smoothness, but I must recommend to use a high quality hook, for it might split easily otherwise. 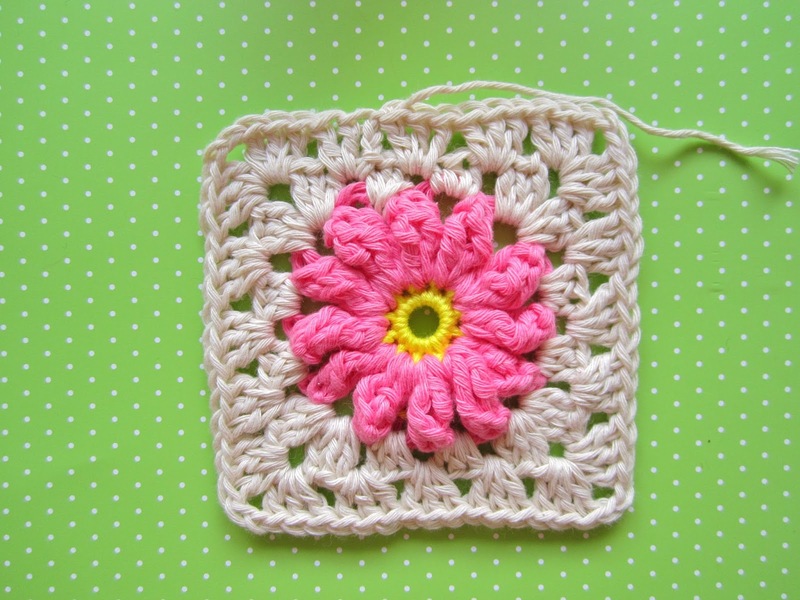 Lovely daisy granny square! Lovely colours! Adorable. 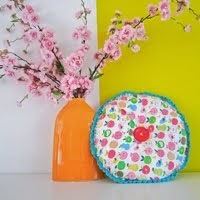 Can hardly wait to make one! How do you put the sq together? Hi Rebeca, I used a size 6 hook, but I must say, I crochet very tight. So if you don't, I'd recommend to use a size 5,5, or maybe even 5. And of course it depends on the yarn you use. Just check the label. Have fun! I like your blog! I've been making different squares lately with the idea of piecing them together when I have enough for a blanket. A few of these should fit right in! I'm working on it right now -- thanks!!!! 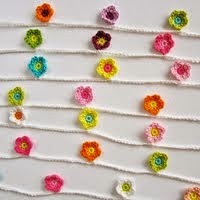 I'm new to crochet...your pattern s so nice i'd like to try.. In flower, after finish first petal..u said 4 triple crochet in next sc after that what i suppose to do? repeat from where? shall i pull through loop to first 3 chain???? 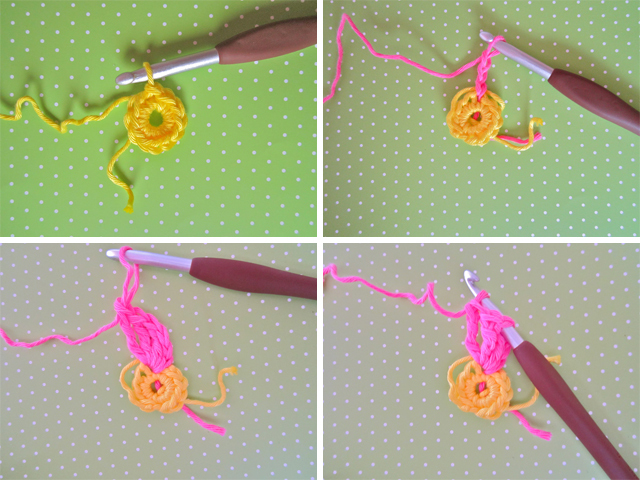 You just repeat the same routine as the first pettal, but with 4 triple crochets. 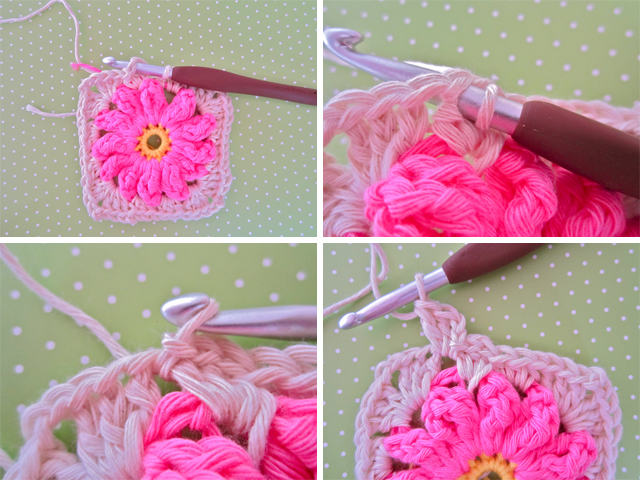 So after the 4 trcs, pull up loop, remove hook, put hook in the first triple crochet and and pull the loop through. That's it. Good luck! I used the join-as-you-go method. There are lots of tutorials out there, try the one from Attic24. Good luck! It's very soft (and heavy too), but some don't like it because it splits easily. If you want to try it I advice you to use a high quality hook. 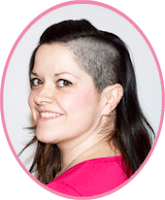 Just wanted to say your blog makes me smile...and am learning lots from you too! It is soooo pretty!!! I love your handywork! 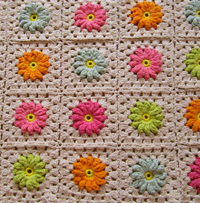 And the colours you chose I would like to try making a throw with these flower squares - I'm a beginner to crochet!!! Thank you for sharing!!!! Thanks! Love to inspire others. I hope you have fun! 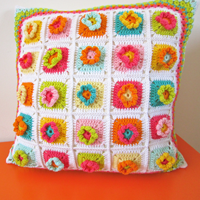 Hi Jenn, the pattern is beautiful and your instructions are great. What size approx are your squares and what do you consider to be a stroller size? Ik gebruik verschillende merken door elkaar en schrijf om eerlijk te zijn de nummers niet op. De merken zijn Creative Cotton, Drops Paris en Catania Grande voor het gele hart. Thanks. I used the join-as-you-go method. You can find a tutorial in the sidebar of this blog. Have fun! Hi Janet, I did thanks. I didn't work during the summer after all. And I'm not sure which doily you mean. 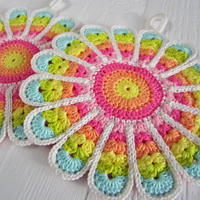 I think if you try the vintage potholder pattern in the sidebar, just leave it single instead of double, you can make your own. Love it! Thanks for sharing it! Are your terms in American or European " DC" for example could be a double crochet stitch in American and a Single stitch in European..